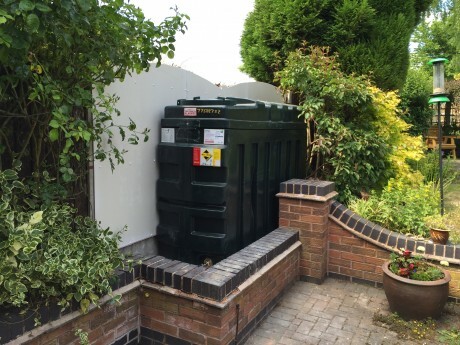 Oil tanks are often neglected due to the fact that they generally tucked away in the corner of the garden and forgotten about, when we service the boiler we will always inspect the oil tank too, this often highlights issues with leaking tanks or inadequate base's. When your oil tank is filled up with fuel with a lot of companies the delivery driver will have a look around the tank just to be sure its not got any problems. Oil storage is covered by building regulations so we have to carry out a site survey to see what is required for your Installation. On the top picture the tank is too close to the window so firewall would need to installed as shown in the pitcure bellow. There are lots of factors that need to assesed on a survey such as distances from a boudary, distances from windows and if fire protection is required. Should a Installation be done illegally this could very effect your house Insurance, we strongly advise that If you are looking to replace your oil tank be sure to use a OFTEC registered company to protect yourself from the cowboys and possibly an illegal Installation. 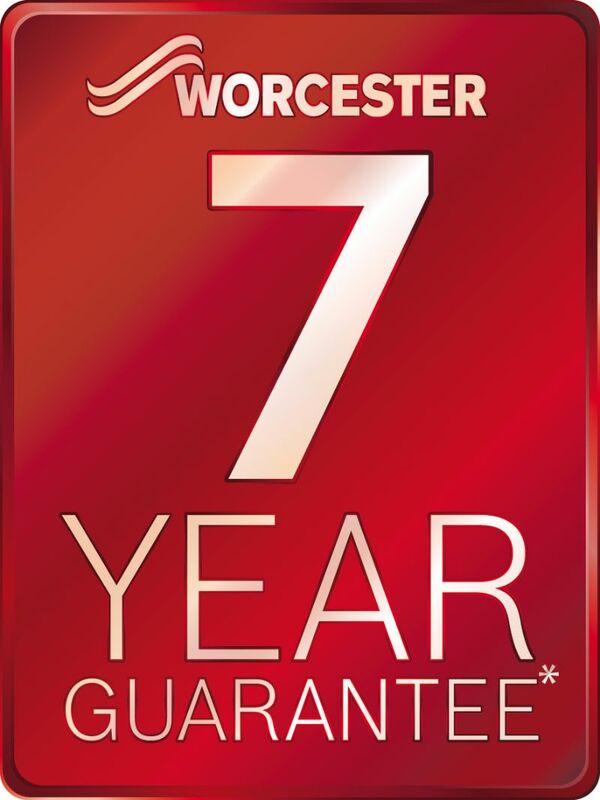 Worcester Accredited Installers (WAIs) are accredited to install Worcester boilers to the highest standard. OFTEC's aim is to promote the highest professional standards across the industry and provide efficient service and support to customers. We are approved technicians under the scheme.